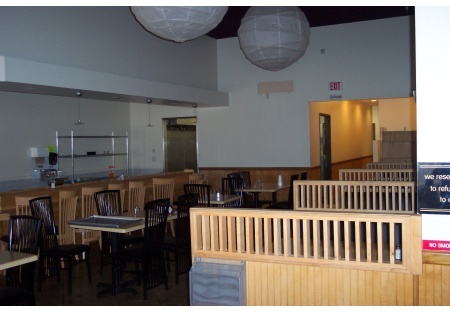 Restaurant Facility Includes Equipment Small Investment, Large Return, Low Rent! Selling Restaurants invites you to take a look at this fantastic restaurant opportunity in the City of Lake Elsinore, Riverside County. In this shopping center location, you have three major chain restaurants as your neighbors, literally driving customers right to your door! In addition, you have signage that is visible from the I-15 Freeway, where thousands of cars travel on a daily basis. For basically "key" money, you can open your own restaurant in this great location! Grilled Fish, Sushi, Rotisserie Style Chicken, Cajun/Creole or Mid-Eastern food would be a great fit. All the expensive improvements are in place; including a full hood system, walk in refer/freezer, stainless steel sinks, scullery area, tables and chairs, just move in your cook line! In addition to the 1900 sf of restaurant space, there is a large area out front that has been approved for use as a patio, thereby increasing your seating capacity. Beer and wine were previously served, so you only need to apply for the license. The economic climate is improving, so don't miss this opportunity, take the next step, click on the orange buttons below, register at no charge or obligation and find the address and additional photos. As a preferred buyer, you will also receive all price changes and new listings before they are released to the general public. Fish, Rotissiere Chicken, Cajun/Creole, Sushi, Mid-East Style! Hood System, Walk In Refer and More!